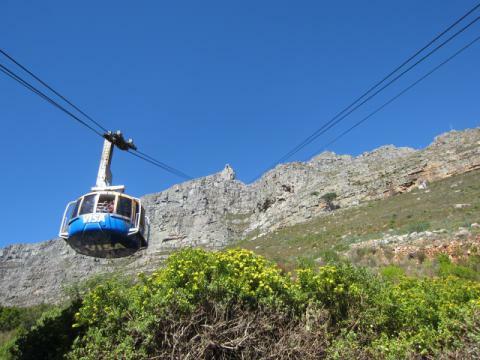 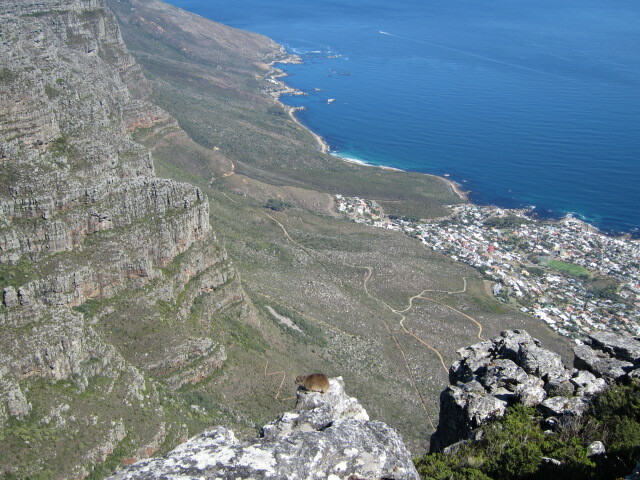 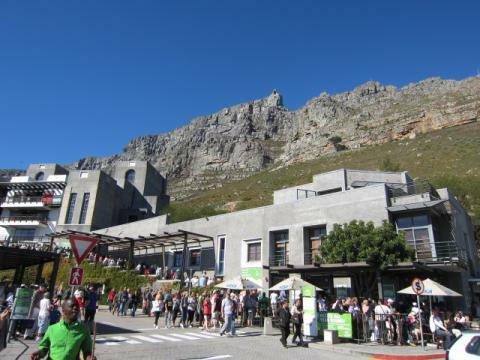 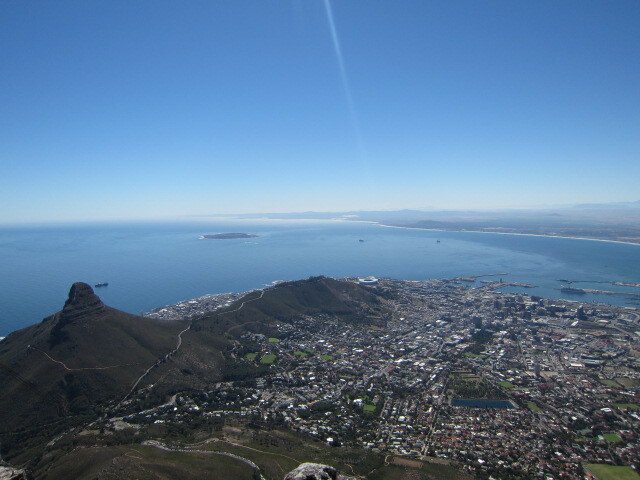 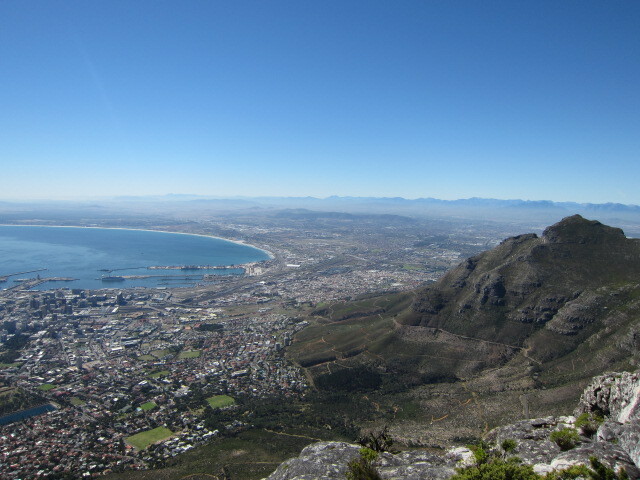 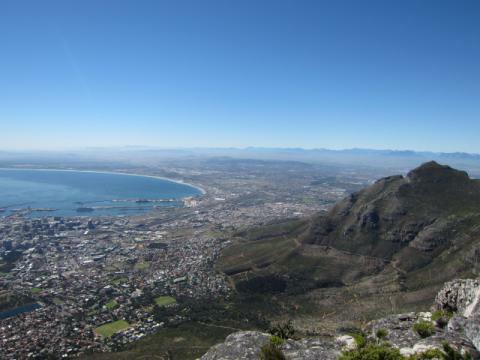 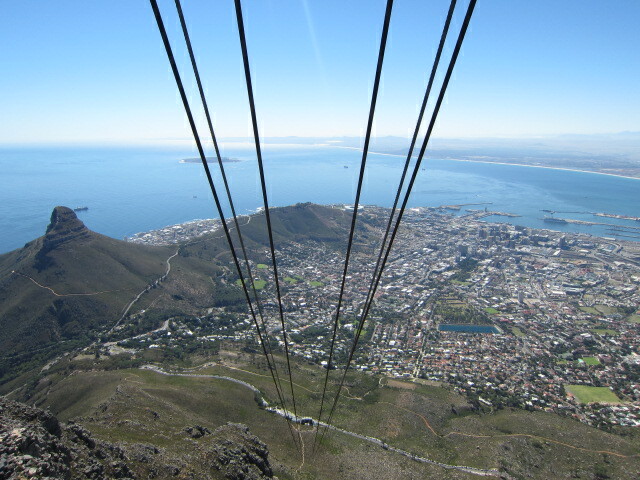 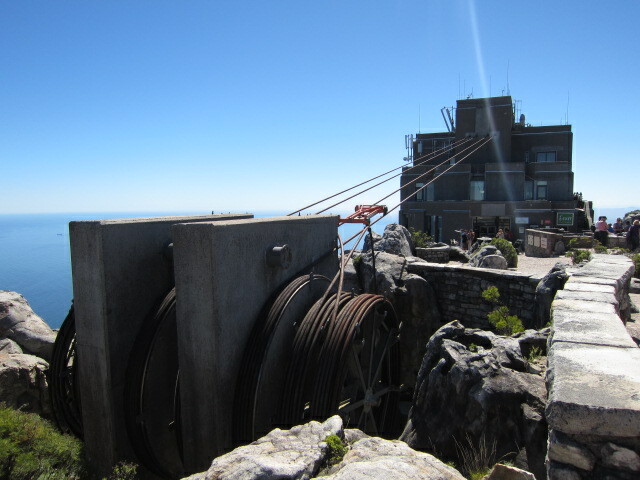 I took cableway to get the top of the Table Mountain on the last day in Capetown. The spinning cableway was so fun!! 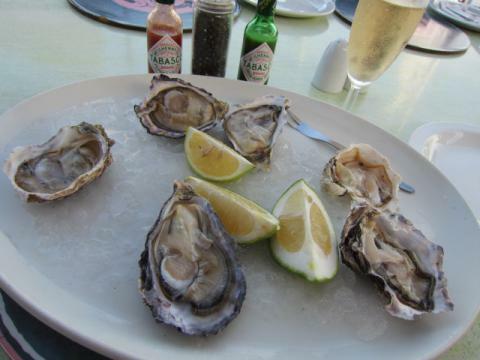 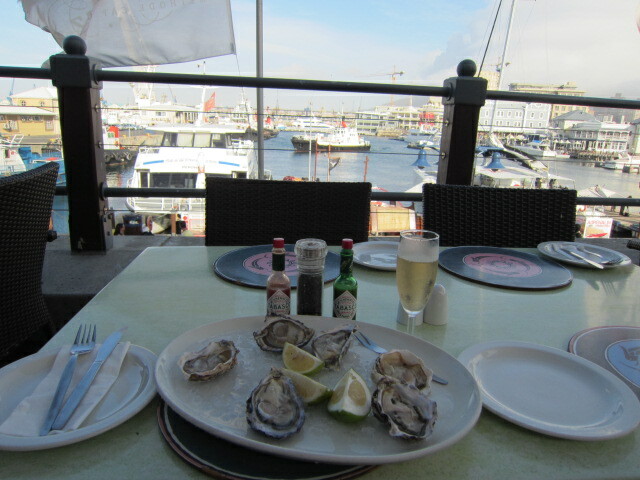 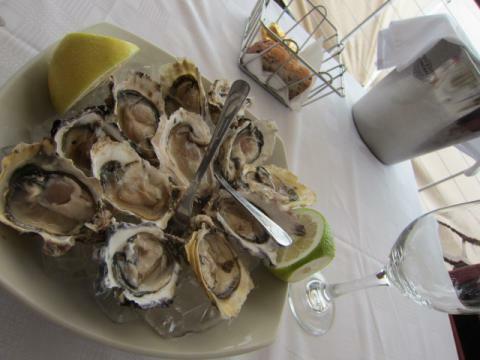 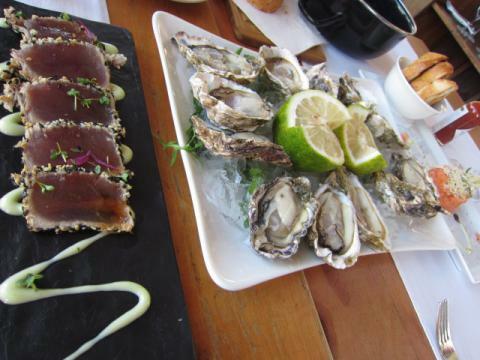 The last oysters in Cape town. 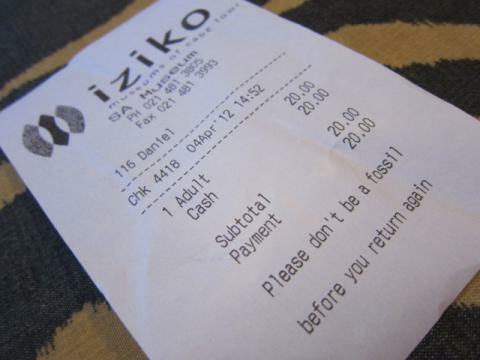 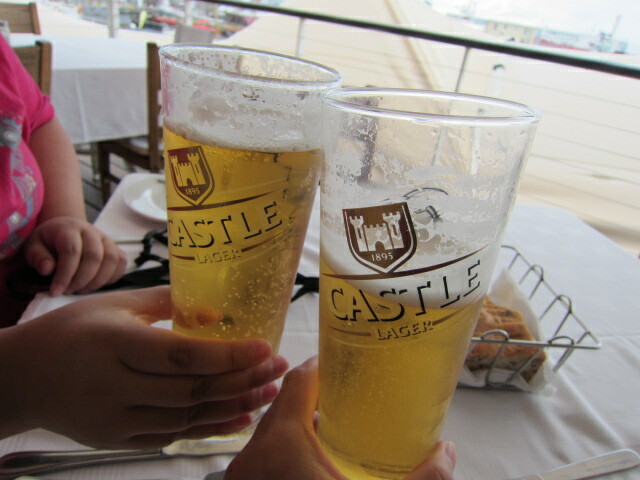 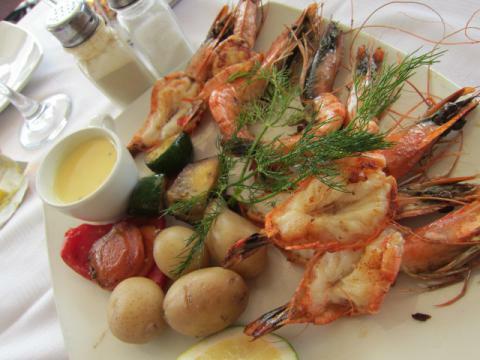 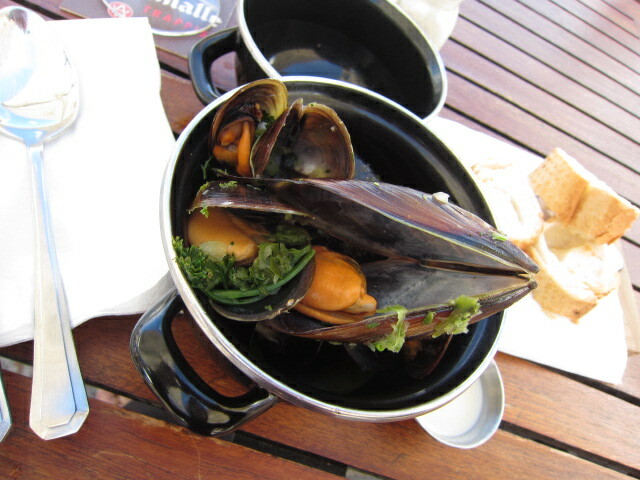 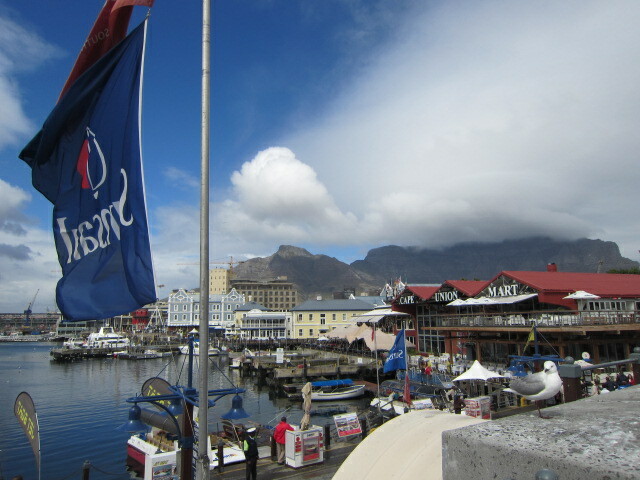 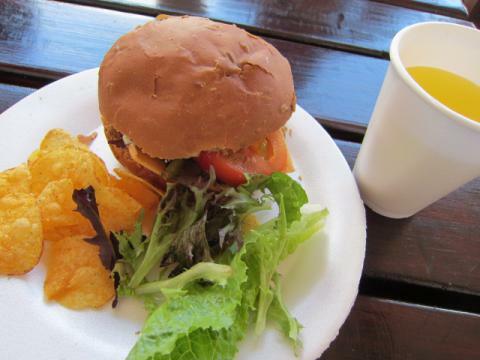 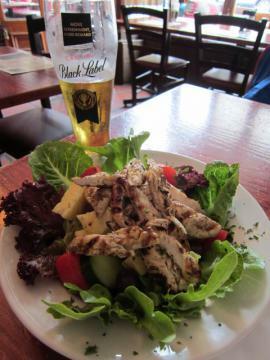 I went to a seafood restaurant in waterfront. 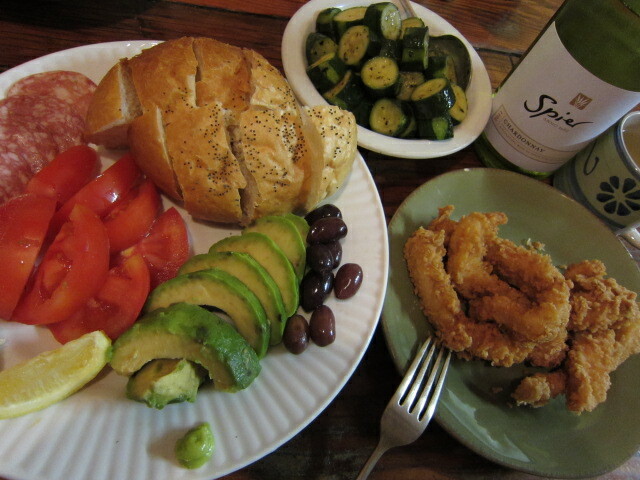 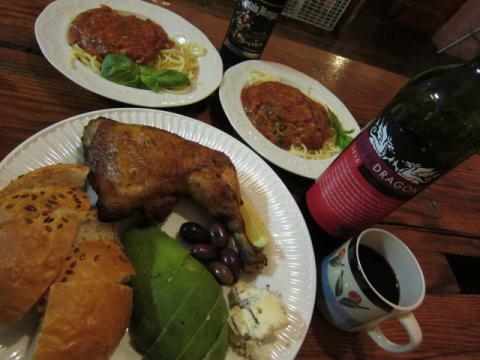 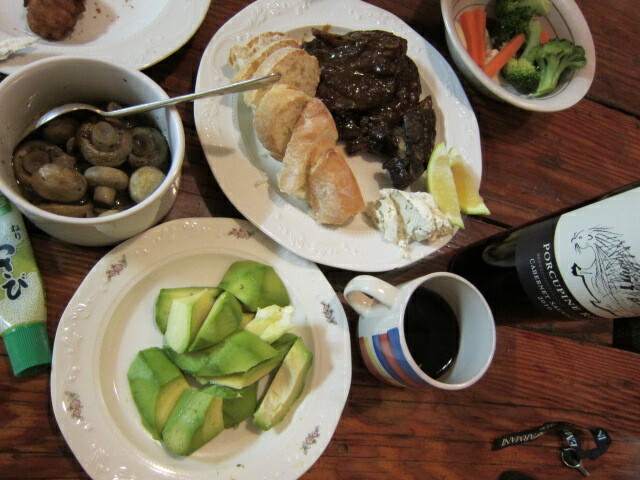 I eat dinner at guest house everyday.I enjoy South African wine with Tomoka.They cost like 30R. 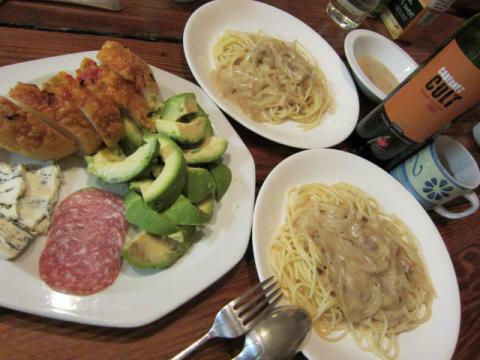 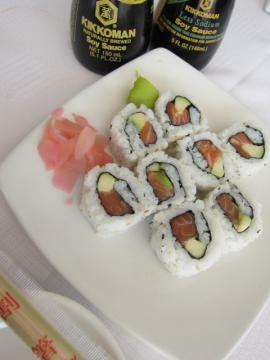 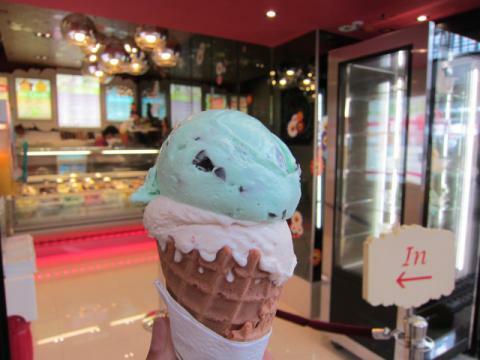 to 40R.,not so expensive,but taste really good. 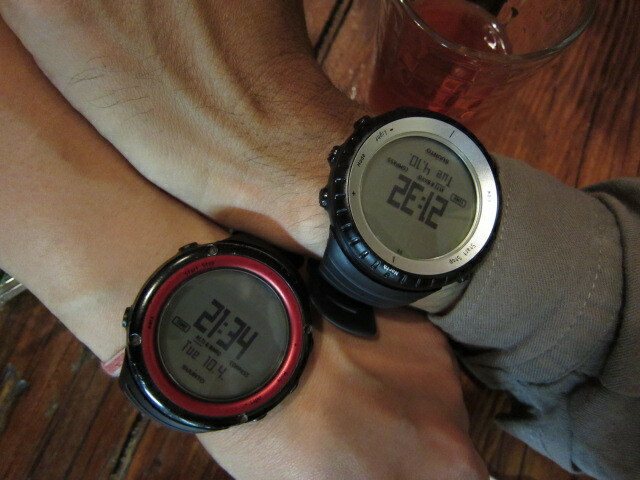 Today,one guy came to our G.H.from Japan,he has SUUNTO!same as mine. 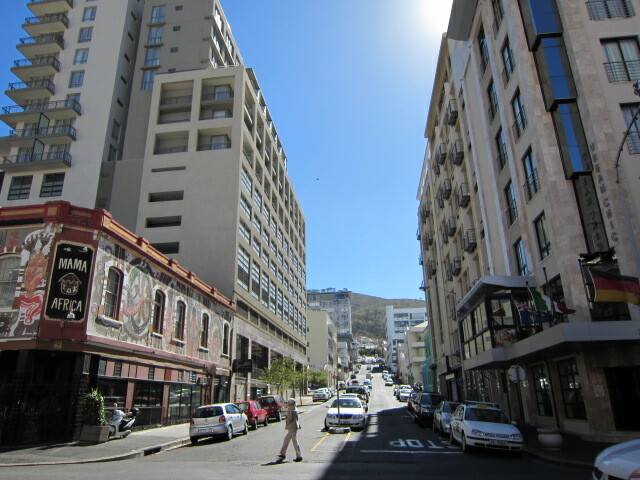 Next,I am going to Namibia by 20 hours bus. 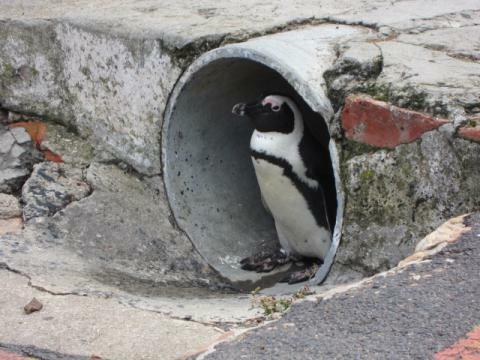 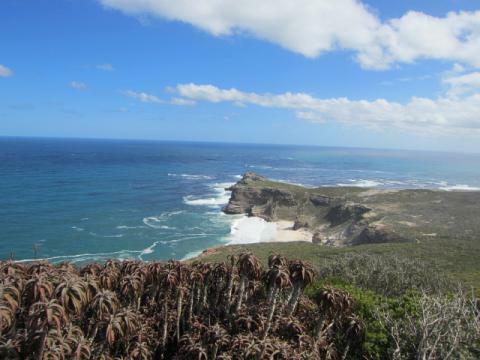 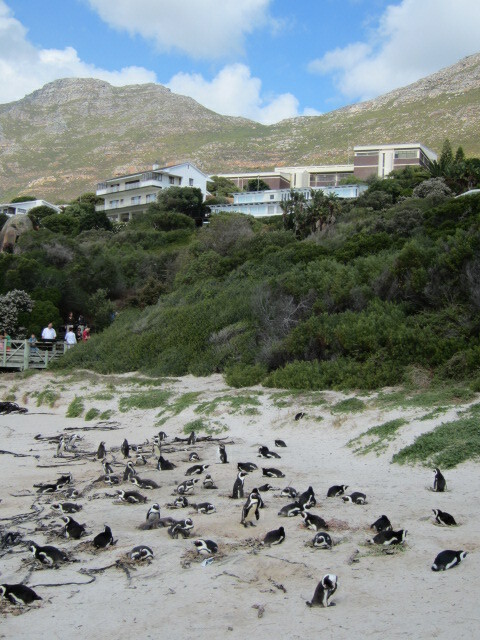 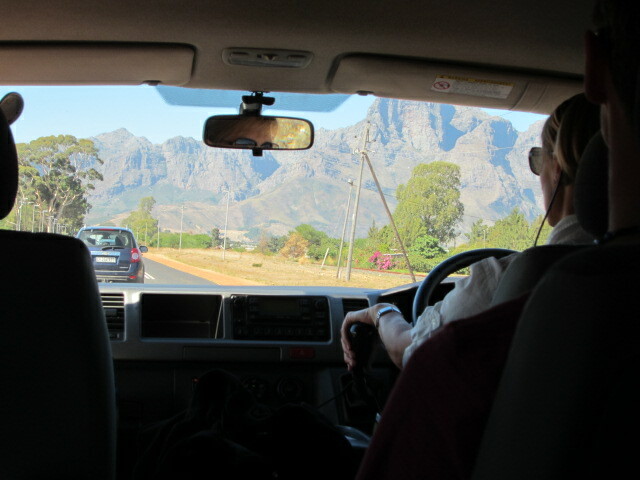 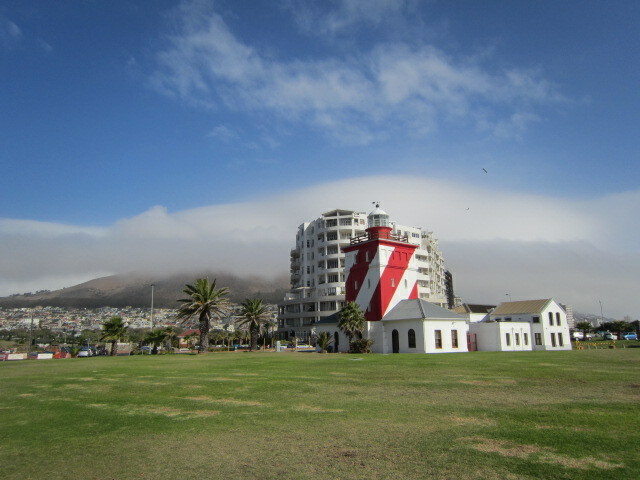 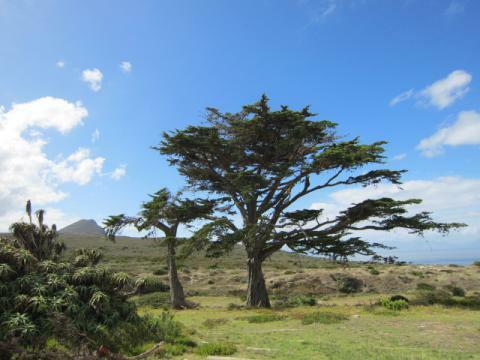 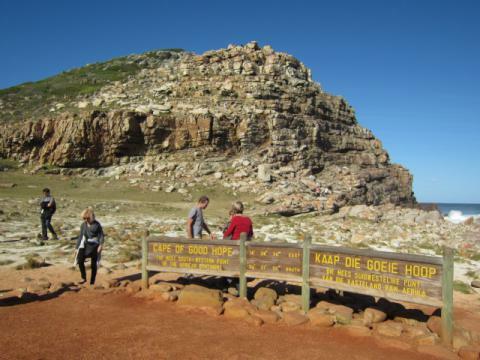 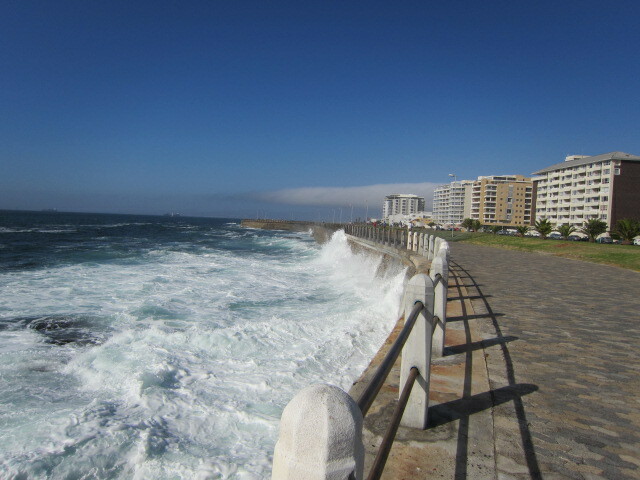 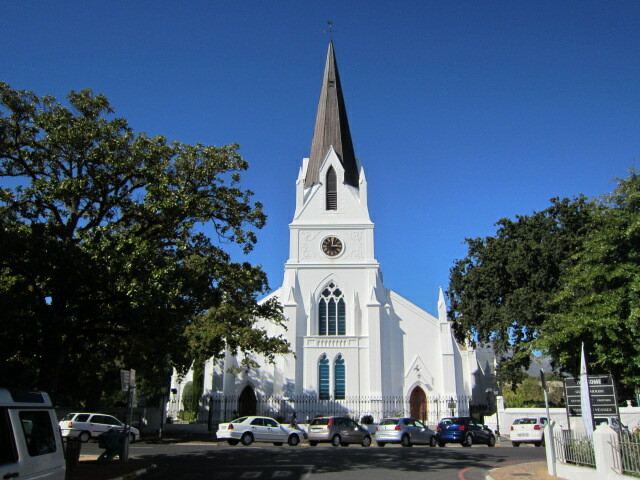 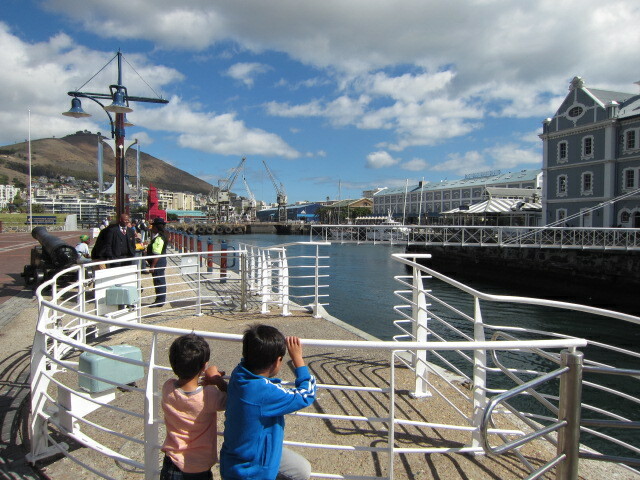 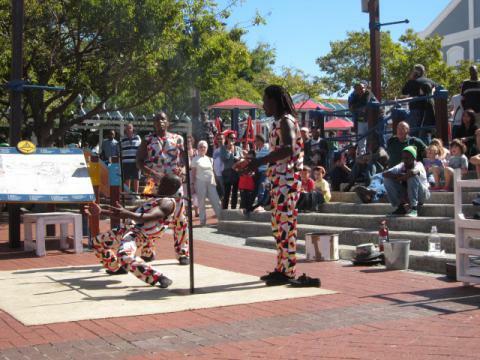 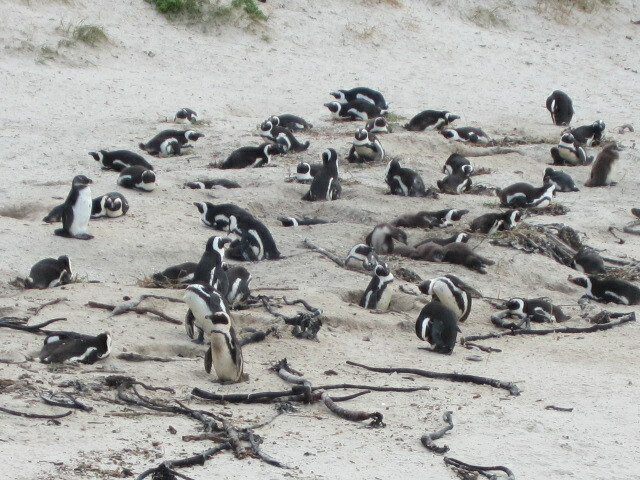 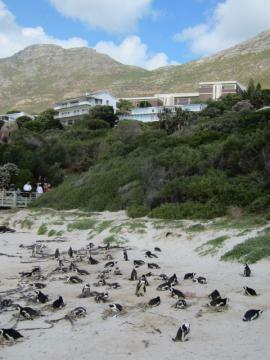 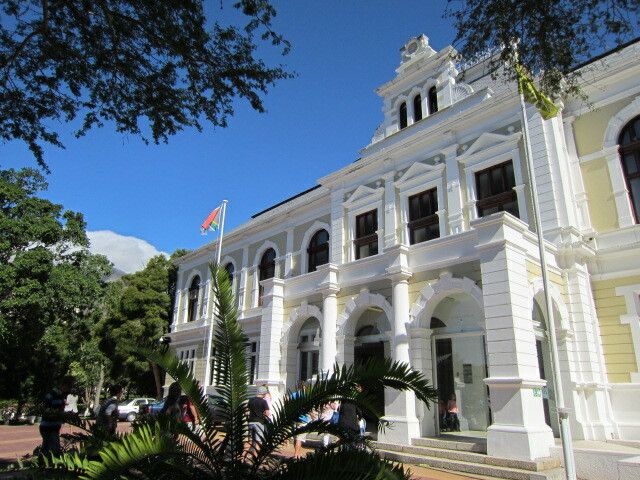 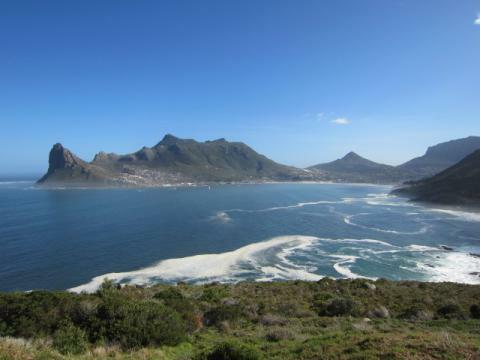 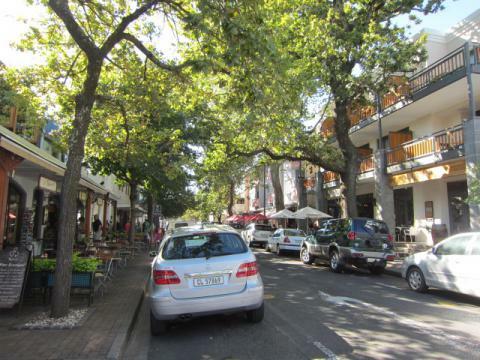 One day Cape peninsula tour. 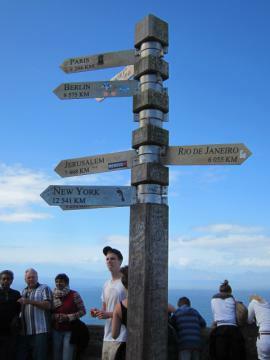 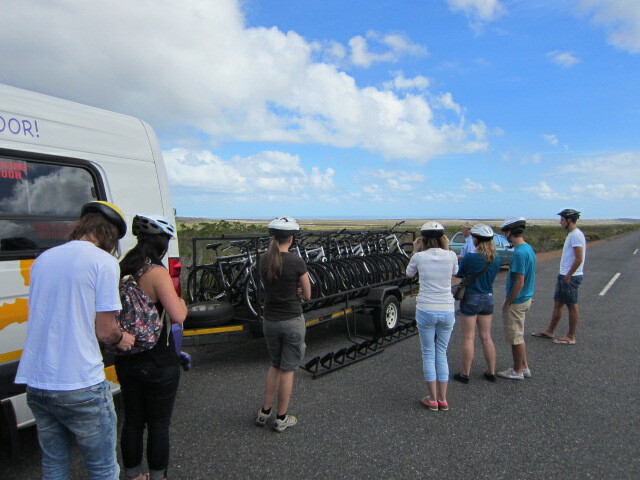 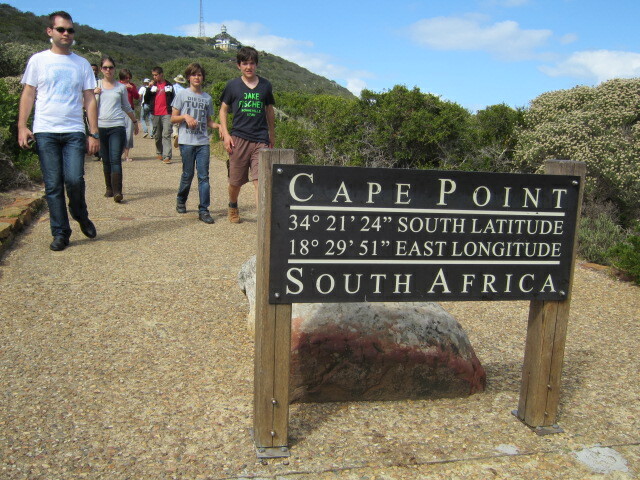 When we got into cape peninsula,ride a bike and get near Cape of good hope. 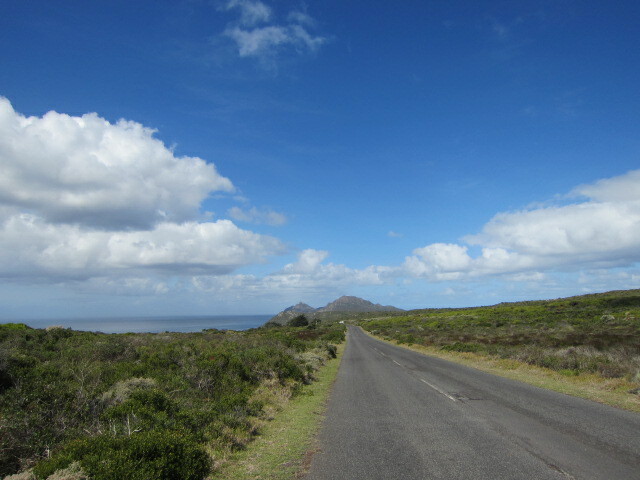 Riding a bike in South Africa's nature.I feel soooo good!! 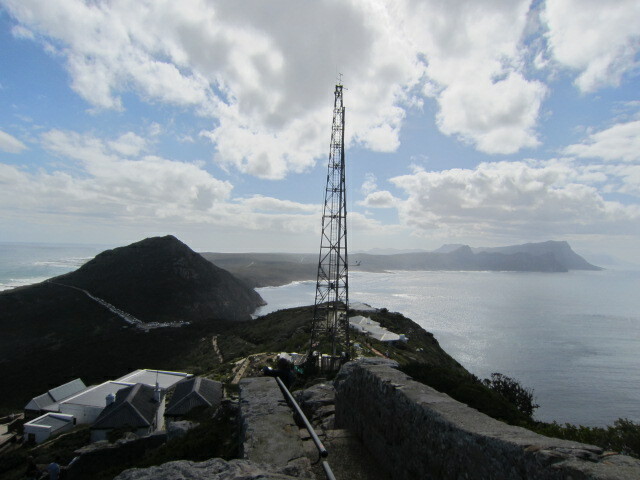 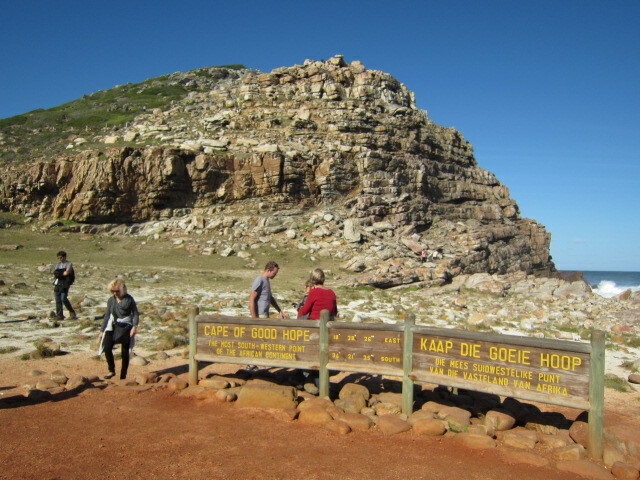 Cape point and Cape of good hope. 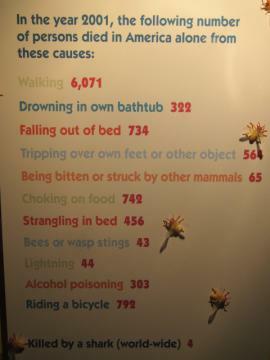 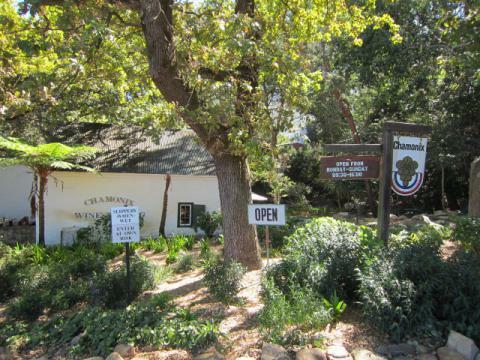 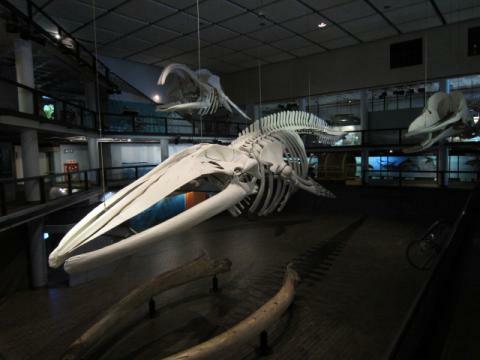 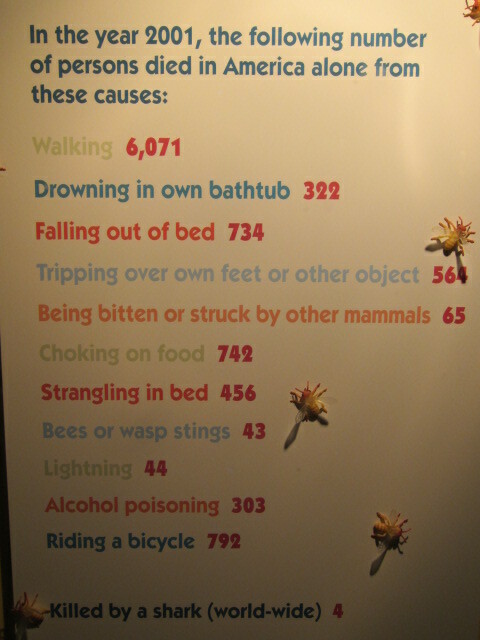 South African museum.Only 303 persons died from alcohol in US? 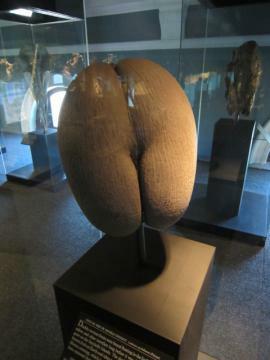 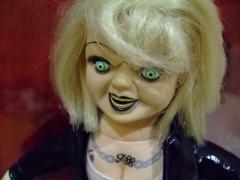 Kidding! 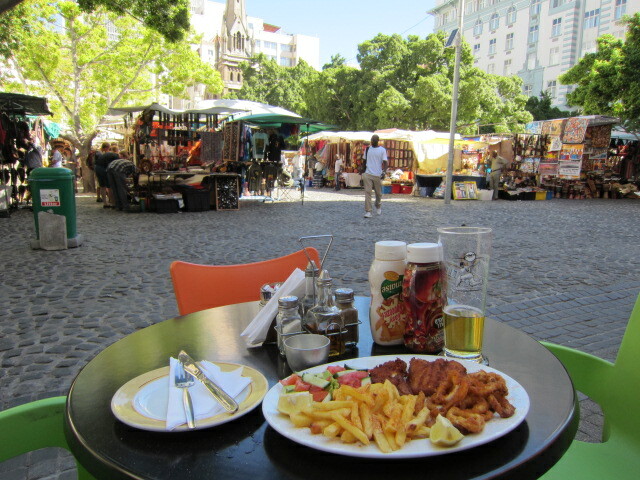 Fish & chips with calamari.Very nice. 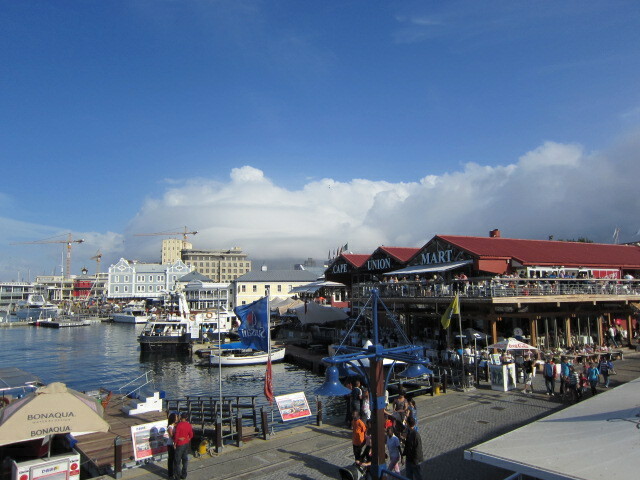 Victoria wharf shoppig centre.Am I in SF? 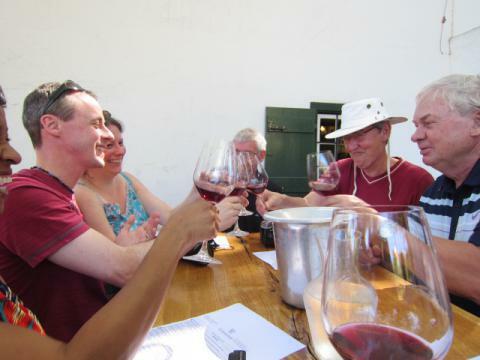 Tour to Wine Lands.We visit three wineries. 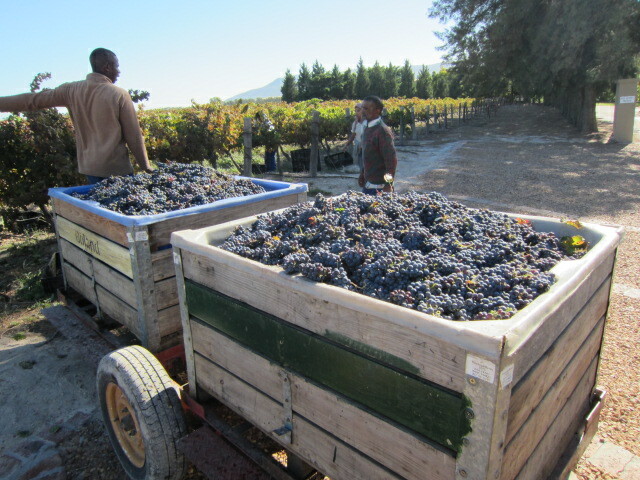 We picked up some grapes and tasted them.Much sweeter than I expected. 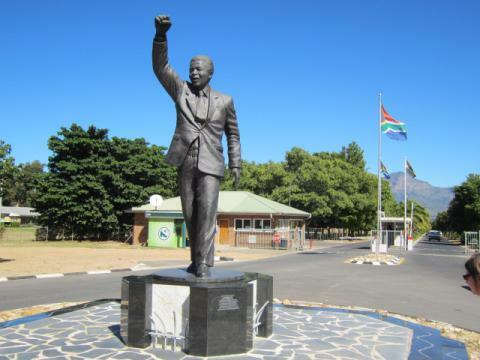 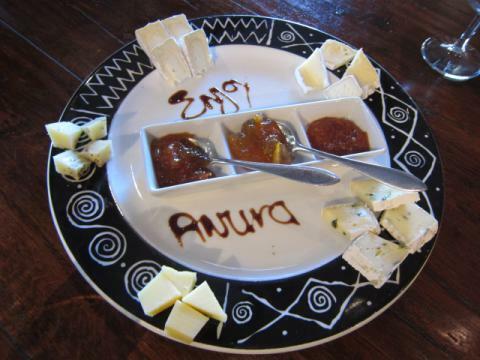 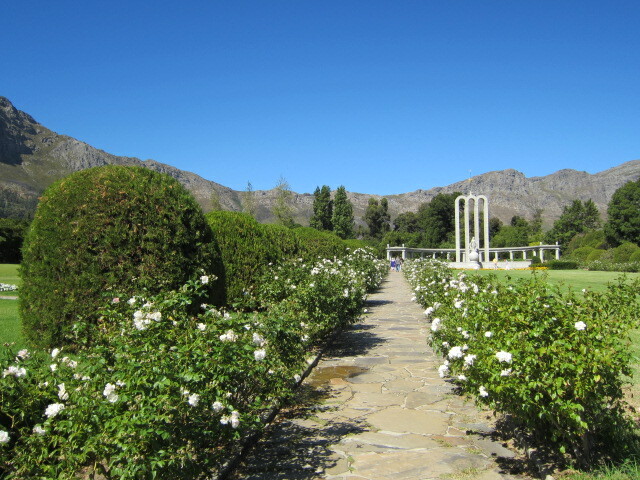 We tasted 5 kinds of wines with cheese.It was about 10 a.m.
Nelson Mandela's statue at Groot Drakenstein Prison. Two couples from Denmark,one couple from UK,a lady from Atlanta and AT from Japan.Everybody loves wine.So fun! 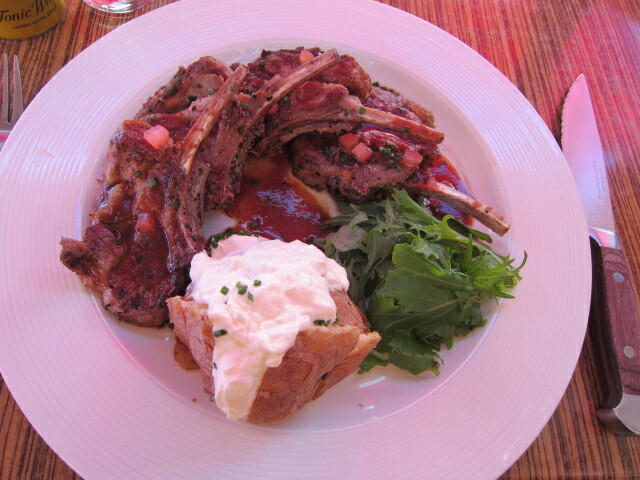 Lamb rack for lunch.Not goat! 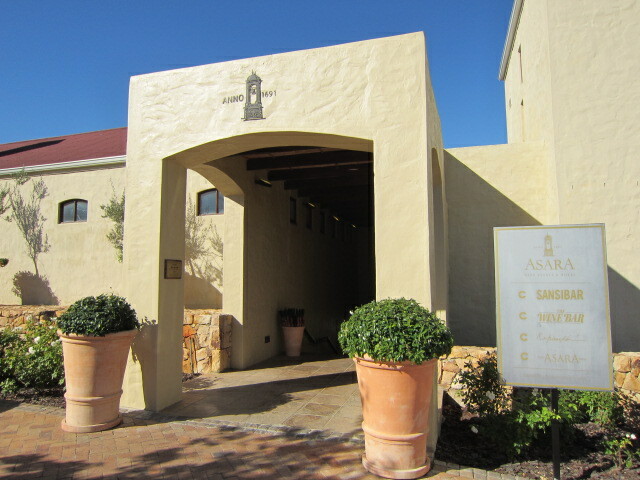 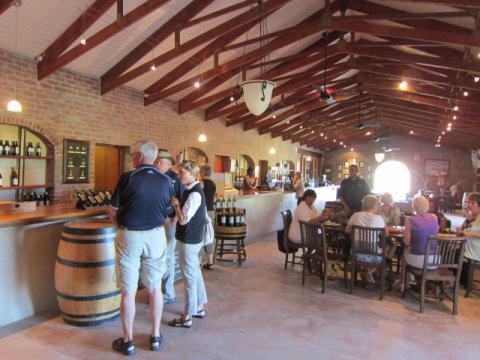 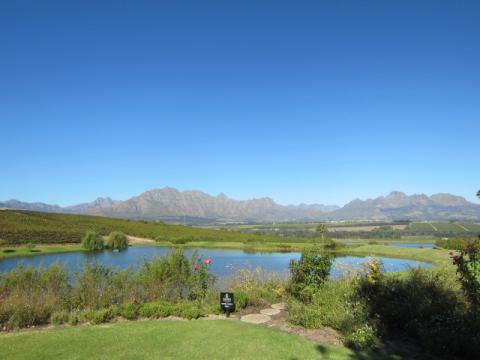 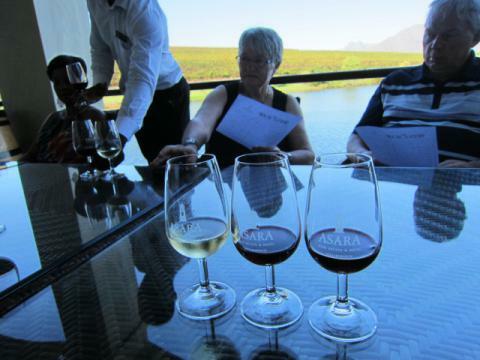 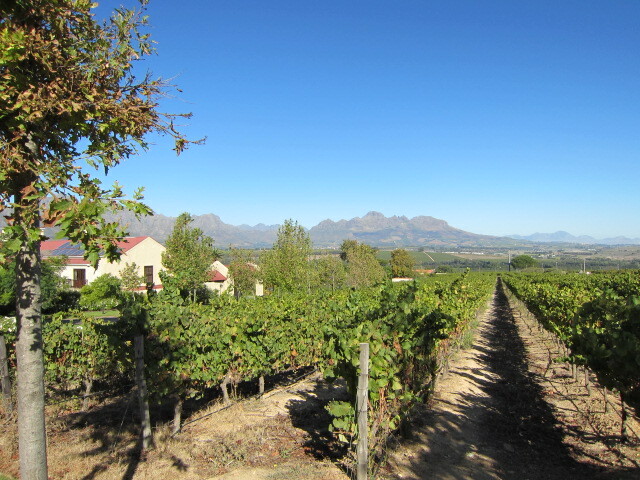 The last winery is a wine bar at five star hotel "ASARA" in Stellenbosch. 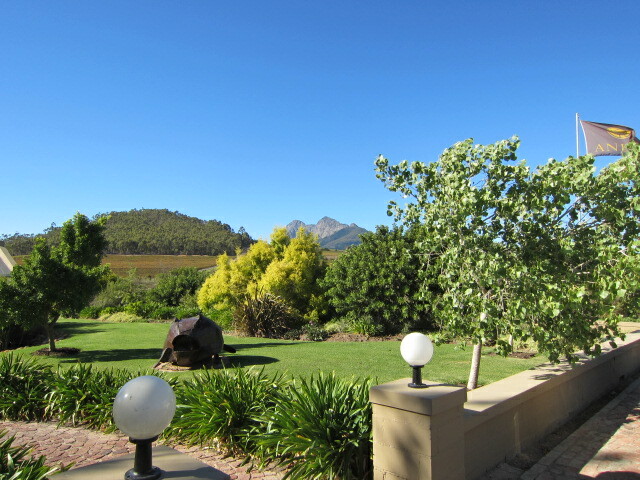 Perfect location!I'm sure I feel everything's good here.